Folsom Women’s Prison is the first women’s prison in California that will perform Shakespeare on stage. Tamsyn Jones is the lead and an inmate. The play is organized by the Marin Shakespeare Company. The company began the program in San Quentin in 2003. 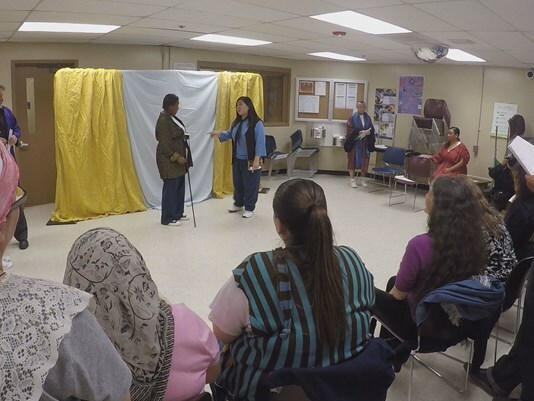 “They learn skills to present themselves to be able to get jobs and learn about relationships and be back in society,” said Lynn Baker-Naumen with the Marin Shakespeare Company. About 15 inmates have been practicing their lines for months and they’ll take the stage on Saturday. Aside from inmates, some of their family members are invited to watch. The inmates learn skills such as teamwork and nonviolent communication, and grants help cover the program.